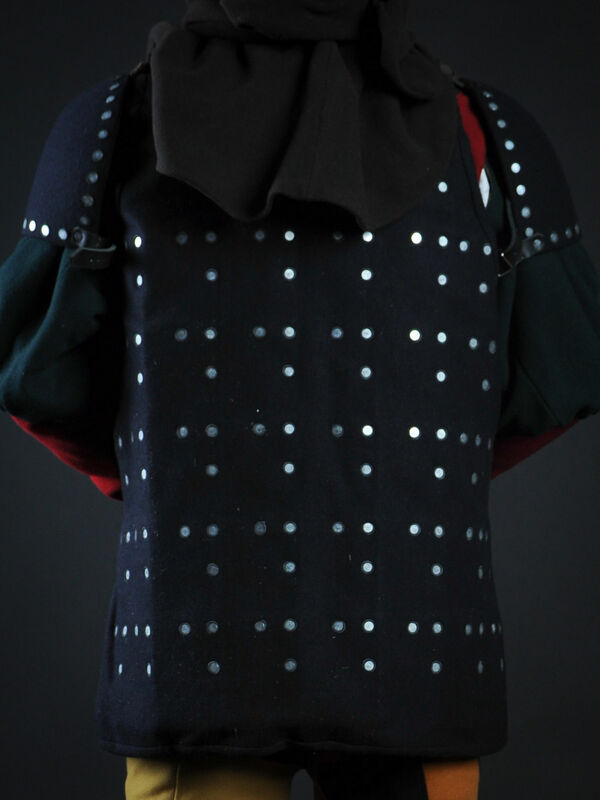 Brigandine was one of the popular variants of medieval armor. 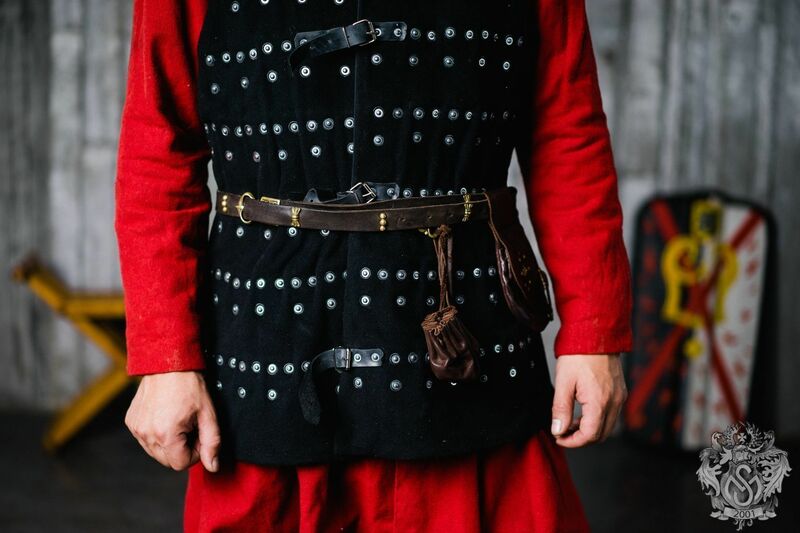 Such type of medieval armor was notable for mobility and good strength. 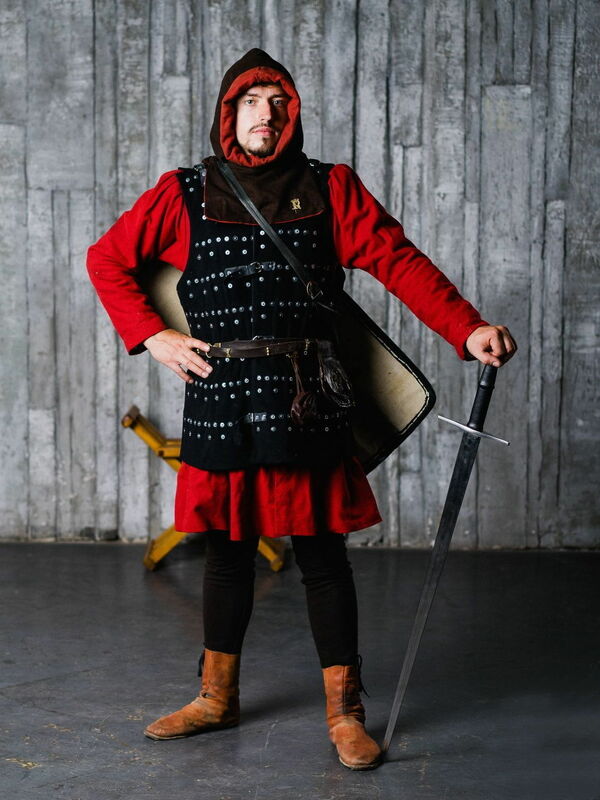 It is perfect for medieval tournaments, and is compliant to SCA-standards. The outer and inner layers are made of 100% natural materials of different colours. The main lay is made of thick canvas. 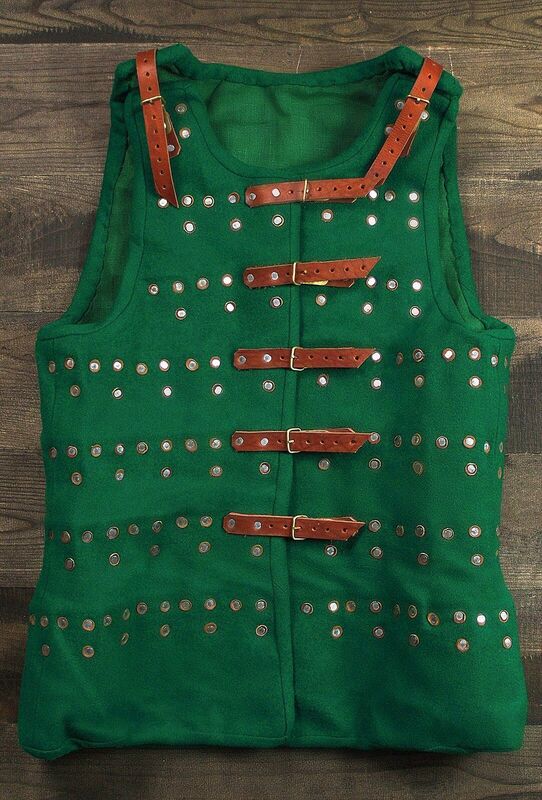 in the front of brigandine and on the shoulders, there are leather straps with steel nickel-plated buckles. 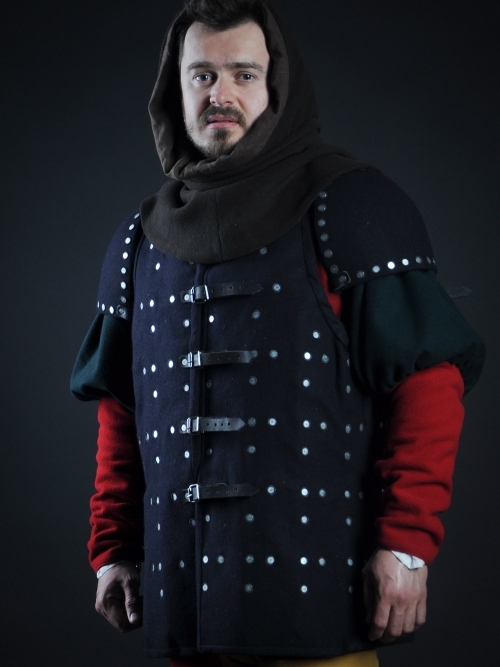 For the convenience of wearing the brigandine we recommend using it together with gambeson, vambraces, and greaves. 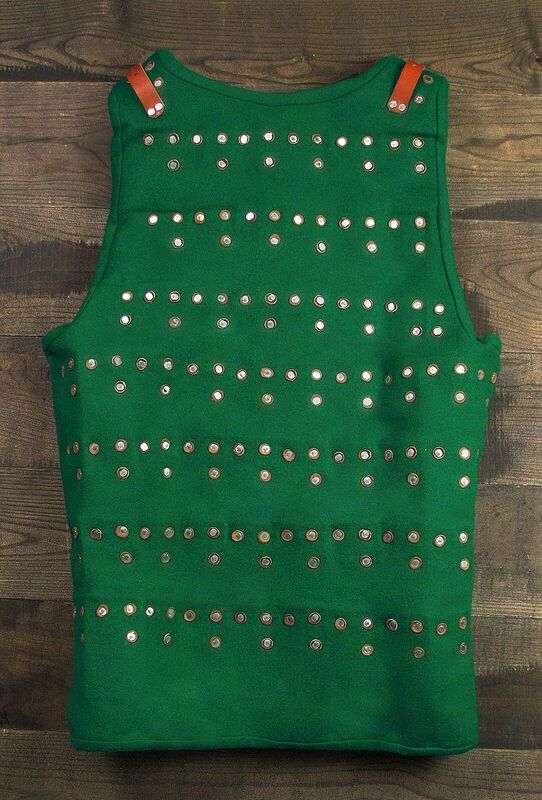 Brigandine manufacture time – 3-6 weeks. This product is still to be handcrafted and you may customize it . The measurements of your body required for crafting this product will be requested after the purchase. The product will be completely custom-made according to your wishes.